Can diamond thieves sell stolen jewels? It's one thing to steal $50 million worth of diamonds and make a getaway. How do you sell them without getting busted? That was one of the questions raised by this week's daring diamond heist at Brussels Airport in Belgium. Experts say the answer starts with the diamonds themselves. Are they uncut or polished? 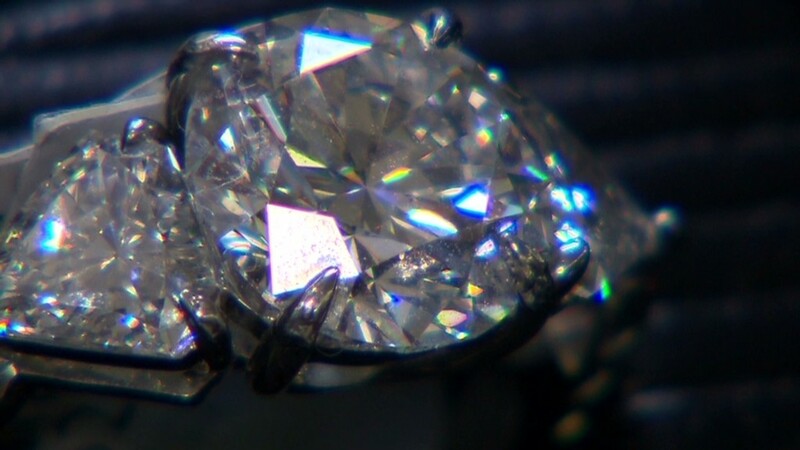 Uncut diamonds are tougher to trace. Thieves will often rush to get them cut after they're stolen, changing their characteristics drastically and therefore making them harder to track down. Polished diamonds, on the other hand, are more likely to be laser inscribed with a name or number on the stone, almost like a license plate, helping authorities readily identify them. And the diamond industry is on high alert. Thieves who get away with a big haul have one of two options: They can "bury" them -- hiding them for a few months or years before selling them. Or they can "fence" them immediately, selling them to illegal wholesalers they've set up beforehand. Stolen diamonds are often sold at a fraction of their value to unscrupulous buyers who turn around and sell them at a hefty profit to unknowing retailers.